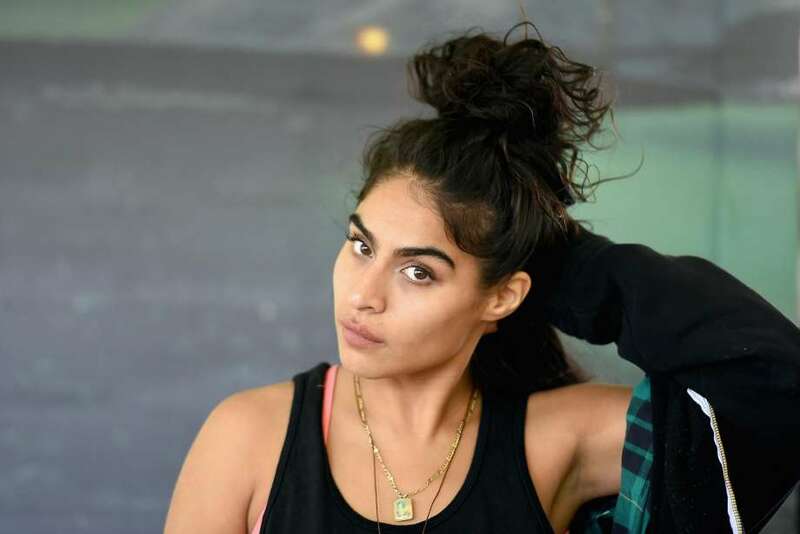 A singer and songwriter whose unique take on pop, accented with R&B and hip-hop influences, is reinforced by a vocal style that merges the passionate with the stylishly theatrical, Jessie Reyez was born in Toronto, Canada on June 12, 1991. Her birth name is Jessica Reyez, and her family is of Colombian heritage. Reyez learned to play guitar as a child from her father, who had mastered the instrument. Before Reyez became serious about music, she was a committed dance student, and studied hip-hop dance from junior high into high school. However, after a traumatic breakup with her first serious boyfriend when she was 17, Jessie poured her heartache into her music, with her music teacher allowing her to spend most of her school days at the piano. By the time she graduated, Reyez was writing songs that expressed her emotions and she was playing in Toronto clubs and busking on the streets. Jessie ‘s life took a left turn when her family members were granted visas to live and work in America after years of waiting; she relocated to Miami with her folks, but after landing a job as a bartender, she found the city’s party-friendly atmosphere was sapping her creativity, and when a music video she made began receiving notice online, she left Florida to return to Toronto. After resettling in Canada, Reyez became involved with the Remix Project, an educational program for low-income students that helps young adults learn about music and the arts. Through the Remix Project, Reyez was introduced to Chicago-based hip-hop artist King Louie; he liked her work and asked her to collaborate with him on a song. The track they created together, “Living in the Sky,” generated plentiful buzz after it appeared in 2014, and soon Reyez was being approached to share her songwriting and vocal talents with such notables as Chance the Rapper, Diplo, Skrillex, and R&B legend Babyface. But Reyez was still focused on building an audience for her own work, and in April 2017 she released a seven-song EP, Kiddo.